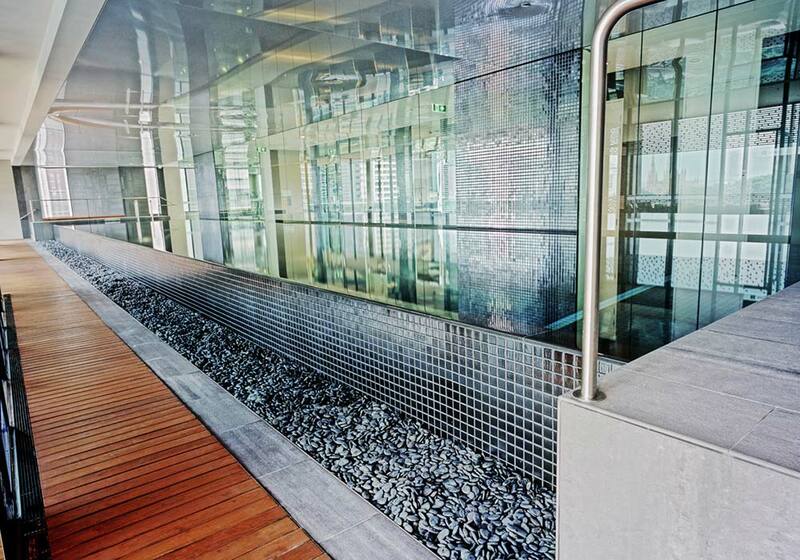 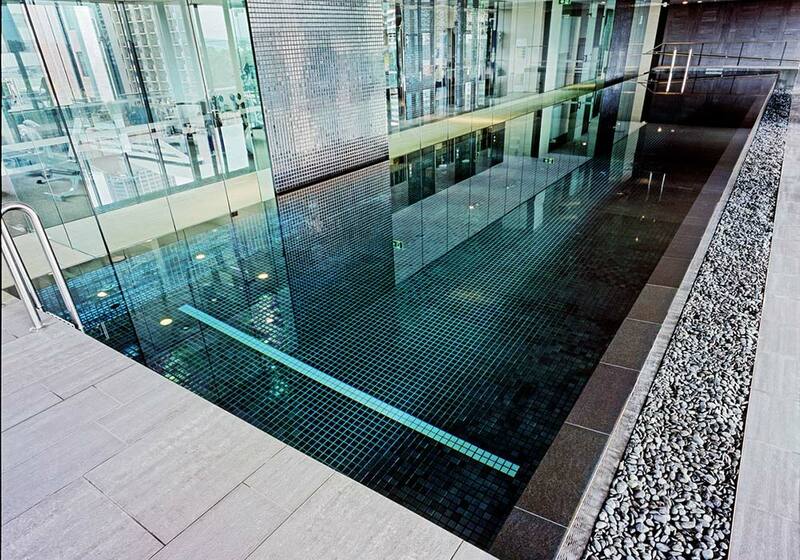 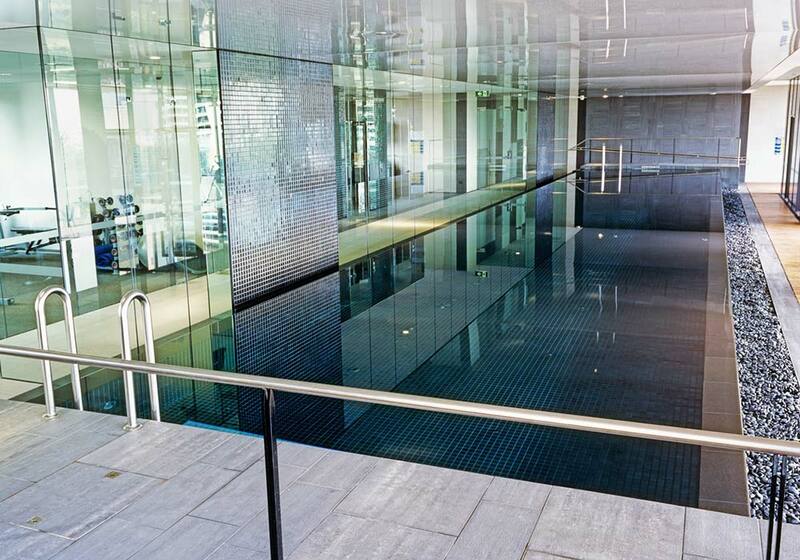 This stunning, fully tiled residents lap and recreation pool is housed in the Hyde Park apartments, a 34 level luxury apartment block overlooking Hyde Park in Liverpool Street. 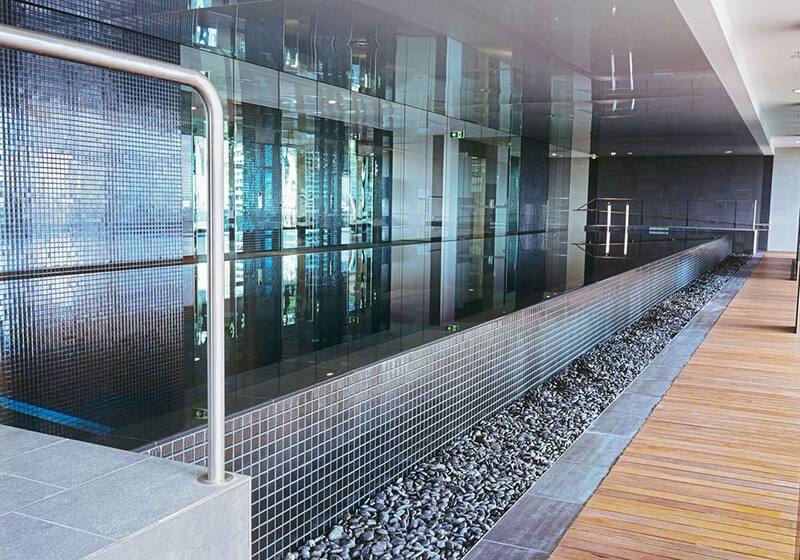 Built for the sole use of residents, the 25m infinity edge pool is fully tiled with a mirrored ‘splashback’ creating an illusion of infinite distance. 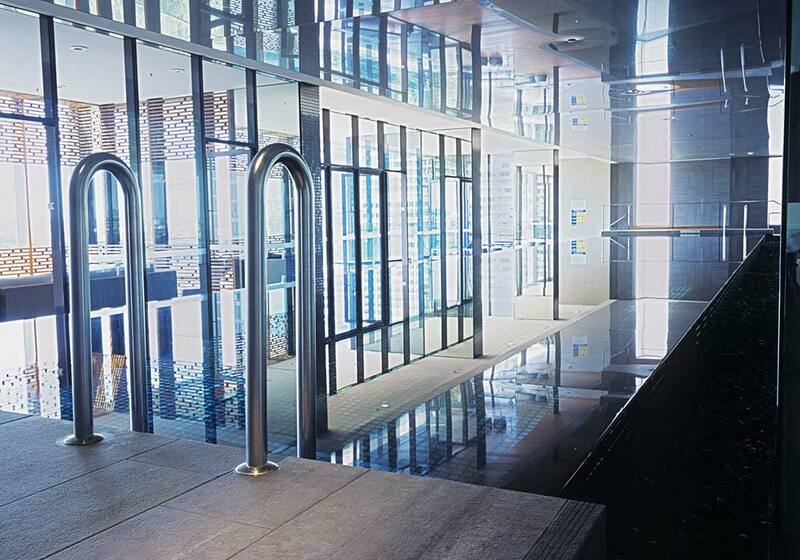 Crystal pools completed this project for Grocon Constructions.